They're an important part of the home that makes a pretty big impression on people who visit, but neither one is something we spend much time thinking about: windows and doors. The windows and doors on your home can increase the energy efficiency of your home, keeping cool air in during the summer and keeping winter's chill out. There's nothing worse than drafts from the doors and windows that can make you uncomfortable no matter the weather. New doors and windows not only can help you save on your energy bills, they can also help keep out more of the noise that is happening outside your home. Some windows claim to make your home so quiet that you won't be able to hear passing airplanes. That might not necessarily be true, but it is often the case that new windows and doors will help cut down on the amount of noise you hear when inside. Another great reason to replace doors and windows in your home is to update the look of your home. 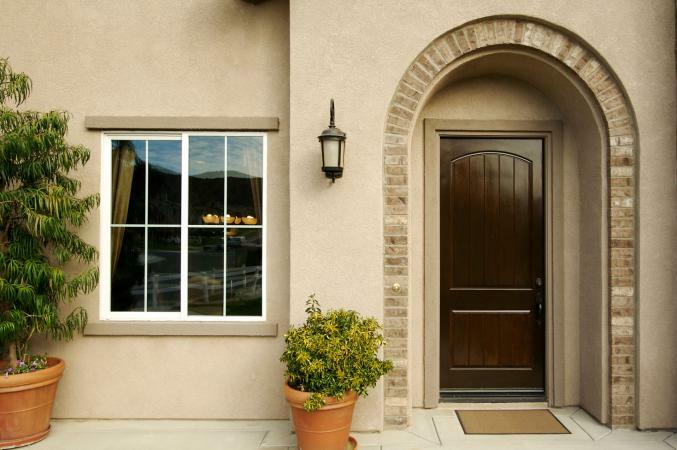 Out-of-date windows and doors look old and they make your home look old, too. If you're trying to sell your home, getting new doors and windows might help. The average return on investment for buying new doors and windows is about 85 percent, depending on the kind and number of windows you are replacing. And a new front door makes a huge statement to someone coming to your home for the first time. And don't forget your garage door when considering window and door replacements. The garage door takes up a good bit of the front part of the house, and it is one of the first things people see. An old vinyl door versus a fancy new wooden door makes a big difference in the mood you are trying to convey with your home. Here at LovetoKnow Home Improvement we've got all the information you need to choose the best windows and doors for your home.